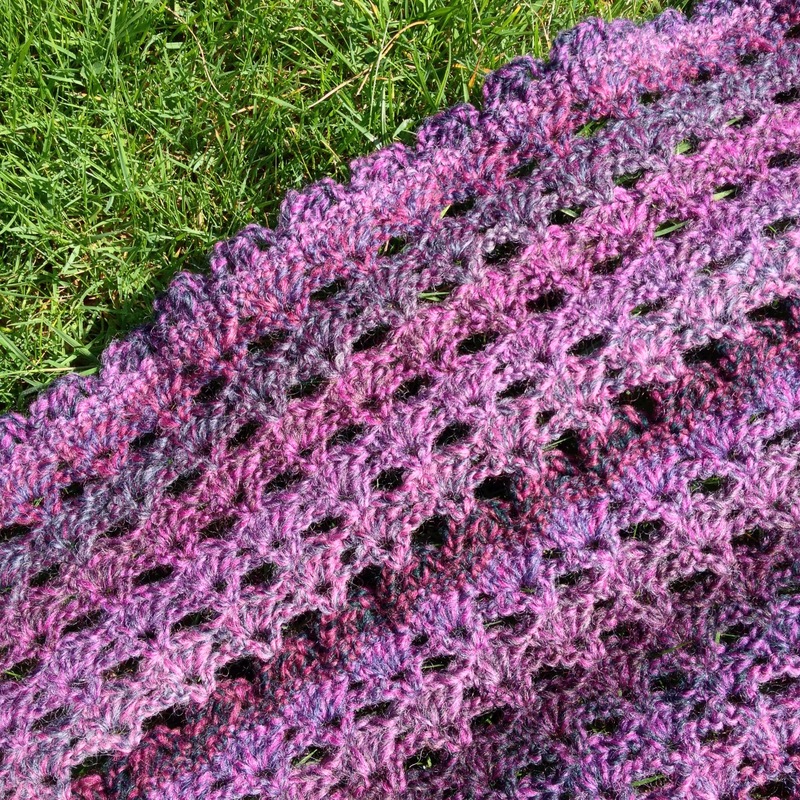 I’ve really enjoyed crocheting this V stitch shawl, I haven’t felt this keen for a little while. You know that ‘I’ve got to do just one more row before bed’ thing? 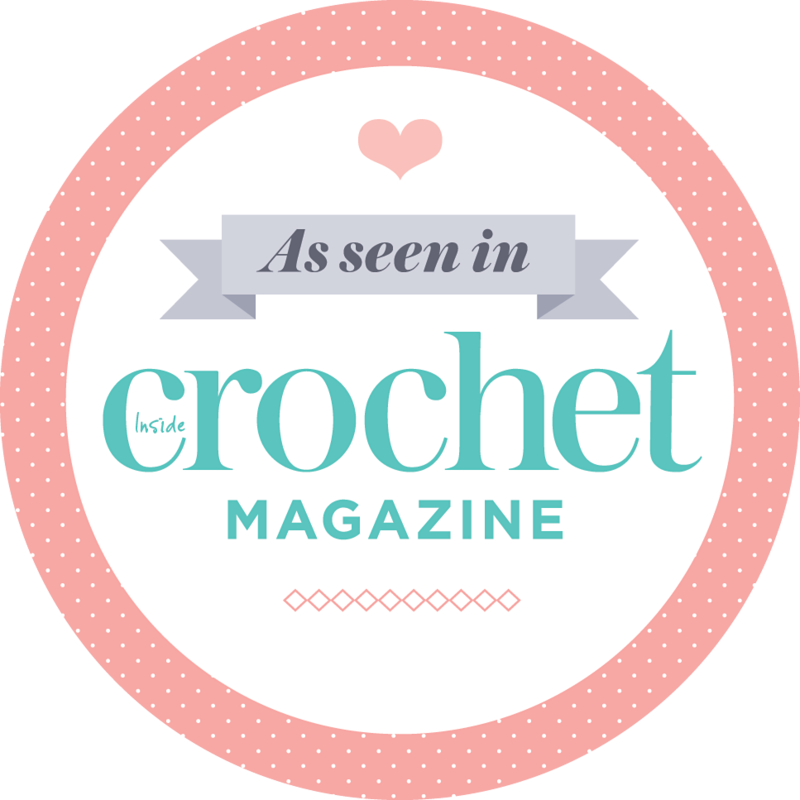 The pattern’s by Elisabeth Davis de Herraiz and is in issue 22 of Simply Crochet. I used Lang’s Tosca Light DK with a 4mm hook instead of the lace weight merino used in the mag. You could make a really chunky version too. That might be really snugly for freezing winter mornings, or maybe nights on the sofa when you feel a draft on your neck or shoulders? 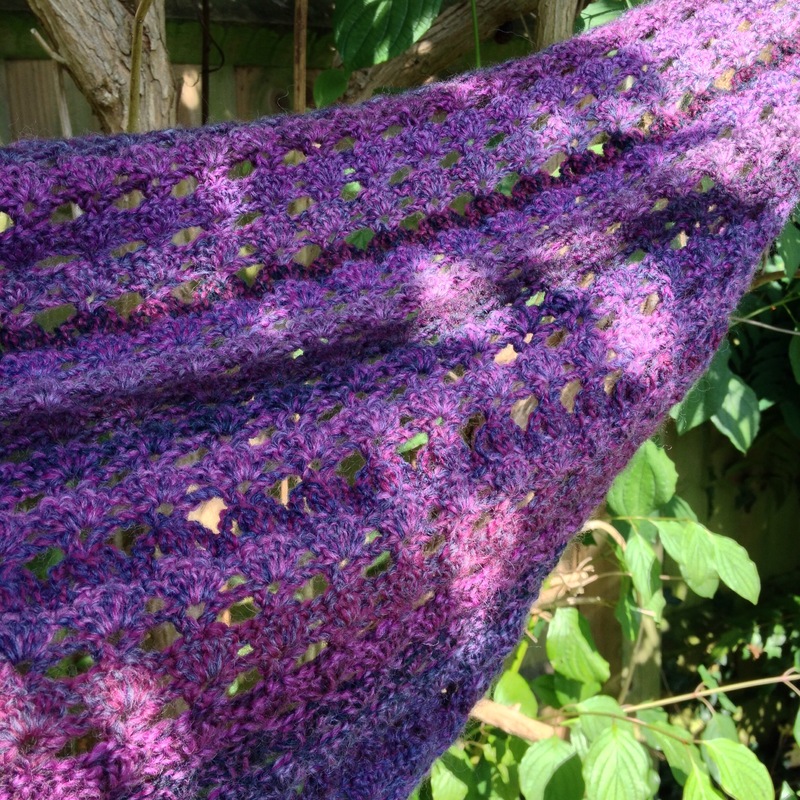 My shawl is larger as I wanted it to be big enough to wear around your shoulders, granny/hippy style or like a scarf with the triangle part to the front and the long ends wrapped around the back of the neck. So for R50 I just repeated from R14 onwards until I ran out of yarn after R37 which was clusters. Boo! This was annoying with only 11 more to go to complete my repeat of R14 -49, but I quite like the frilled top edge so I fastened off, darned the few ends and it was over. 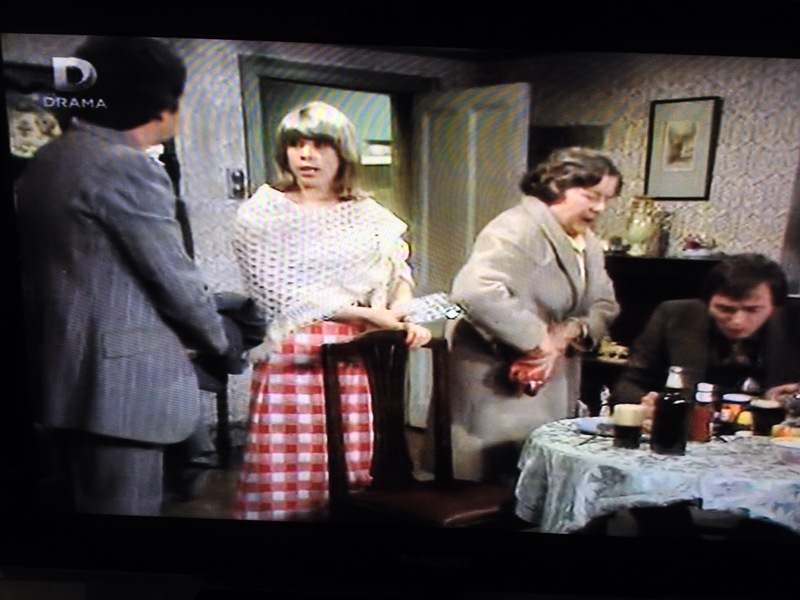 Look at what I noticed as I was unhooking the shawl from a tree…..
And last night on a very old episode of Whatever Happened to the Likely Lads…. 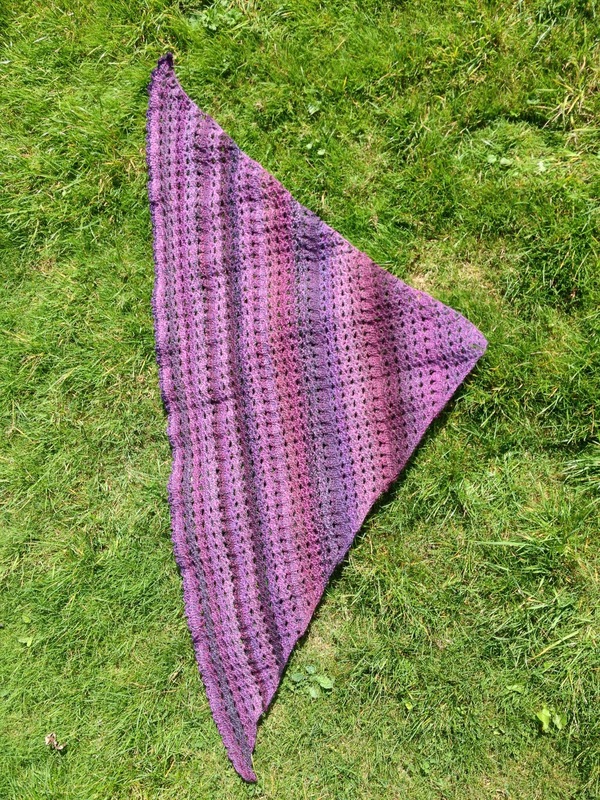 It doesn’t look Grannyish or exactly Hippyish, but I won’t be going out in a maxi dress and big cream shawl anytime soon! Thank you Helen! Send me a link when you’ve made yours, would love to see it. I’m just blocking one of these shawls! I’m really pleased with how it’s turned out too – i made some fingerless mitts too, so split the yarn I had between the 2 projects. I keep recognising versions of it on IG, it’s a runaway success. 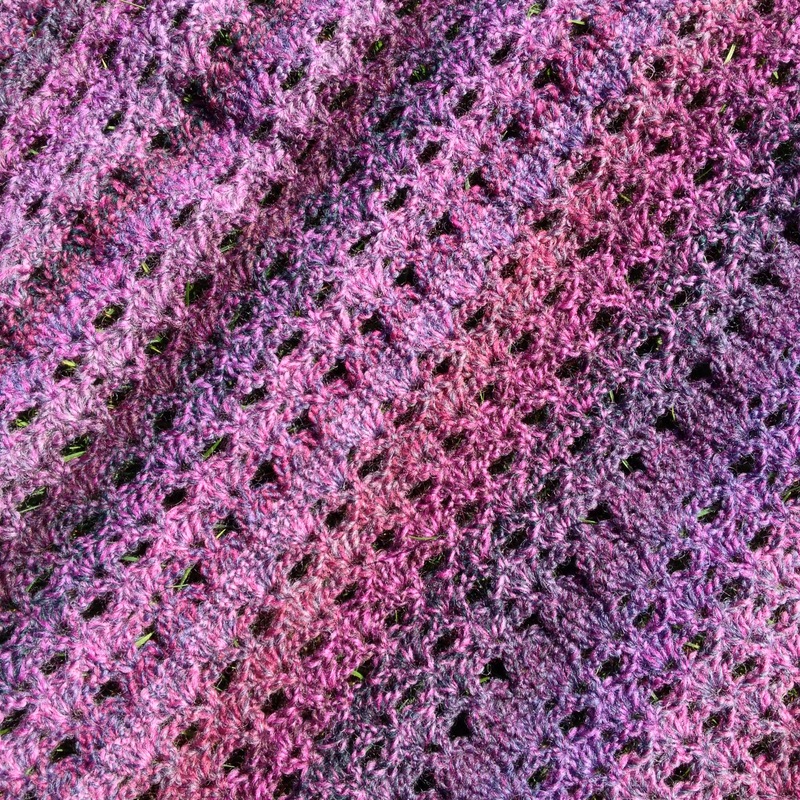 I agree the colours on the yarn look great and work really well with the pattern. It’s such great yarn to use and the colour variations are lovely. Thanks Isla. Wow, you’re speedy – it looks great! I just felt so keen again now my elbow’s settled down, and it’s a pretty fast growing design. Beautiful colours! Shawls must be getting smaller. I have three large ones like in the TV picture, though not cream! Personally I’d call this a scarf, like a bandana as I also think it’s small and not what we’d call a shawl. I was at a vintage clothes event thing last night, you won’t believe how “trending” this retro look is right now. You would have fitted right in. 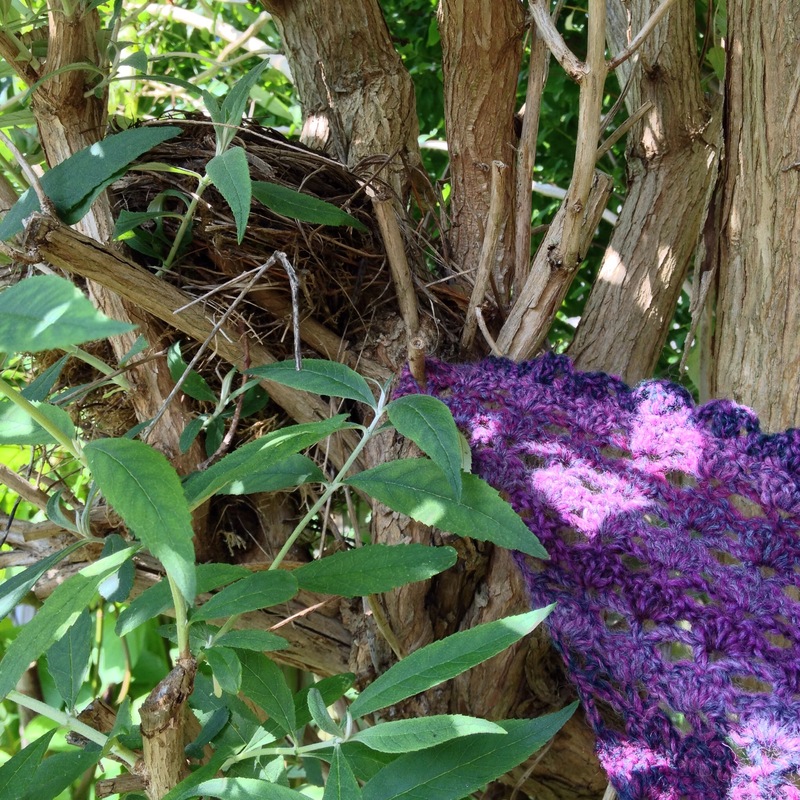 :-) (Beautiful shawl, amazing colours, and so glad your elbow has stopped playing up ). Very pretty. I love purple!